The leading jockey by wins and earnings for the week, Diego Saenz was named Jockeys' Guild Foundation Detox Jockey of the Week for February 4-10, 2019. The award is voted on by a panel of experts for riding accomplishments by members of the Jockeys' Guild, the organization which represents more than 950 riders in North America. Jockey of the Week is sponsored by FoundationDetox.com, America's #1 Equine Toxin Remover. Not one of Saenz' mounts was the post-time favorite. He won the $50,000 Bon Temps Starter Stakes with Toomuch ($14.20), the $100,000 Prince Stakes with Shang ($9.80), the $150,000 Championship Stakes with Grand Luwegee ($24.20) and the $100,000 Sprint Stakes with Wonder Run ($24.20). 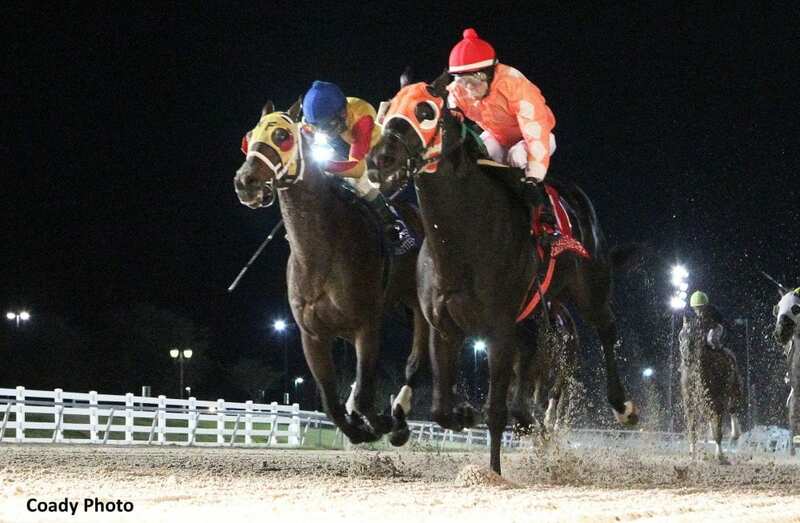 This entry was posted in People and tagged Delta Downs, diego saenz, grand luwegee, jockey, jockey of the week, jockeys' guild, louisiana premier night by Press Release. Bookmark the permalink.